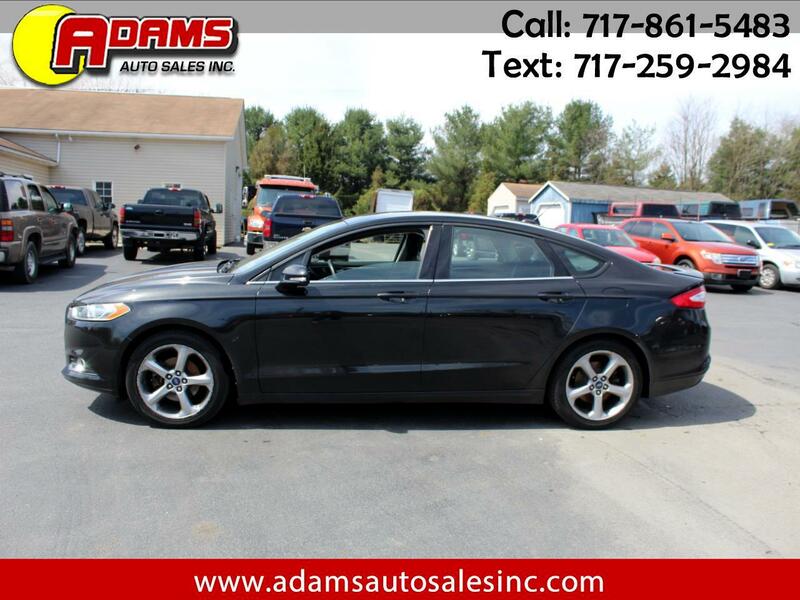 Used 2013 Ford Fusion 4dr Sdn SE FWD for Sale in Lebanon PA 17046 Adams Auto Sales Inc. The sleek black 2013 Ford Fusion SE sedan is a must see! It is equipped with a 4 cyl EcoBoost Turbo 1.6 liter engine and an automatic transmission. It has power seat, keyless entry and a back up camera. It's alloy wheels and rear spoiler give it a sporty look. The black exterior and black interior are in excellent condition. Still like new! Good inspection and emissions. It comes with a 3 month / 4,000 miles (whichever occurs first) powertrain warranty. Ask a salesman for more details. Free Carfax report is available. Hurry in and take it for a test drive today. You won't be disappointed with this beautiful Fusion SE!